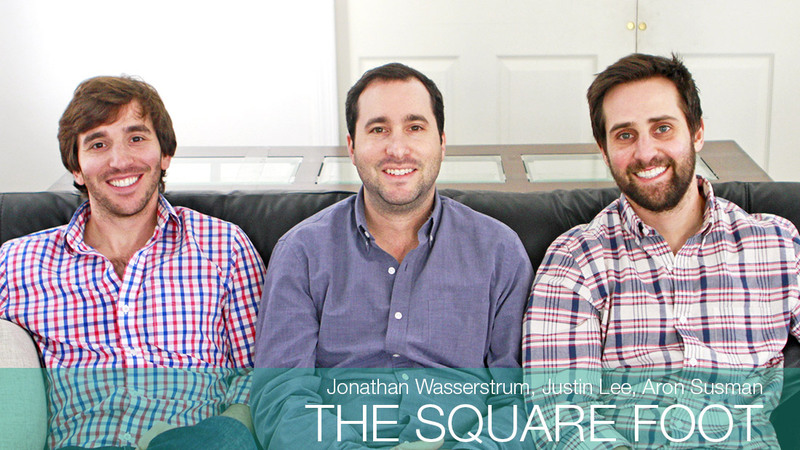 The Square Foot's three co-founders are demystifying the commercial real estate world. The idea for The Square Foot came about when co-founder Aaron Susman, 32, was trying to find new office space for his company. He called up two friends who worked in real estate and hung up in disbelief that there wasn't an easy way to secure commercial office space online. Those friends -- Wasserstrum, 32, and Lee, 34 -- soon became his business partners. In 2011, they launched The Square Foot in Houston, Texas. Originally, it was a marketplace for commercial real estate listings. Today, the New York-based firm is part tech company, part real estate brokerage. It has five full-time brokers on its 15-person staff. The Square Foot has helped startups like Casper and Instacart find office space. It makes money off each transaction, but the amount varies by market and length of lease -- generally between 3% and 4%. Wasserstrum said business has doubled from 2013 to 2014, and they expect it to do the same this year. "In the future, we'll want to play in other markets as well," he said. -- S.O.